As you know we started the Darknet Commenter of the Month Competition on June 1st and it ran for the whole of June and July. We have just finished the seventh month of the competition in December and are now in the eight, starting a few days ago on January 1st – Sponsored by GFI. 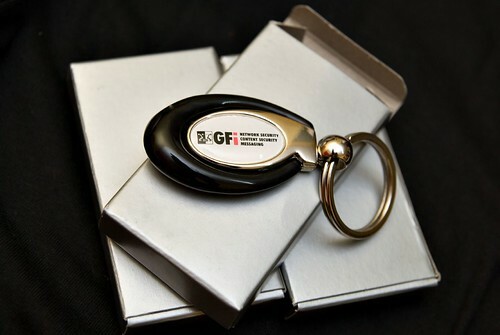 We are offering some pretty cool prizes like iPods and PSPs, along with cool GFI merchandise like shirts, keyrings and mugs. And now the winner will also get a copy of the Ethical Hacker Kit. Keep up the great comments and high quality interaction, we really enjoy reading your discussions and feedback. Just to remind you of the added perks, by being one of the top 5 commenter’s you also have your name and chosen link displayed on the sidebar of every page of Darknet, with a high PR5 (close to 6) on most pages (4000+ spidered by Google). So announcing the winner for December…it’s Sir Henry! Sir Henry is a relative newcomer in commenting here, but he’s very active! Special mentions also go to Goodpeople (the predicted winner for December before Sir Henry turned up!) and Pantagruel for their active and interesting comments. December has been an extremely active month for comments with some interesting discussions happening, I’d like to thank you all for your participation! Thanks to everyone else who commented and thanks for your links and mentions around the blogosphere! Keep commenting guys, and stand to win a prize for the month of January. We are still waiting for pictures from backbone, Sandeep and TRDQ, dirty and dre of themselves with their prizes! Winner for June 2007 was Daniel with 35 comments. Winner for July 2007 was backbone with 46 comments. Winner for August 2007 was TheRealDonQuixote with 53 comments. Winner for September 2007 was Sandeep Nain with 32 comments. Winner for October 2007 was dre with 19 comments. Winner for November 2007 was dirty with 38 comments. 12 Responses to December Commenter of the Month Competition Winner! Thanks, but I would be loathe to have people mistake my zeal for commenting as a gesture to simply win a contest many times over. Here is to your name being lauded for the month of January! Do you want me to send a pic of me and my rar files from the hacker kit? heh. That is an excellent incentive for participating in this fine blog. Congrats to anyone who participated on helping to make darknet a primary external link for whitehat on Wikipedia, and generally a fun read. @Darknet – Wow, great competition! @Sir Henry – Congratulations man! Congrats SirHenry! You will be receiving you gift and GFI goodies in the post soon. A big well done to all the runners up also, and all Darknet readers, keep the great comments coming in.